Believed to be the first woman to drive a taxi in New York City, she also overcame a speech impediment to work on Broadway, in film and on television. 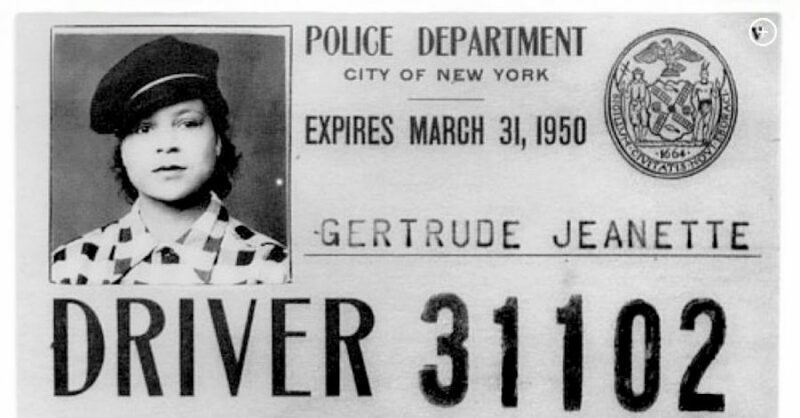 “In those days they didn’t allow black drivers to work downtown; you had to work uptown,” recalled Gertrude Jeannette, New York’s first licensed female cabbie – a black woman. This prohibition did not stop her whatsoever.